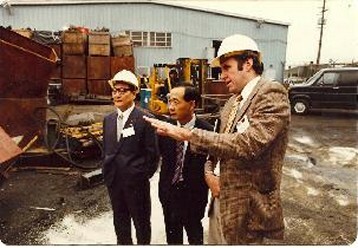 In the early 1980s, under our founder Paul Millius, China Consultants Northwest (CCNW) pursued projects in machine tool manufacturing, castings, and forgings for sale in the US, computer power-supply manufacturing, textbook sales, and construction materials and technology. For more than 10 years, the machine tool project was the longest running and most successful project of its kind. More recently, he introduced Freightliner, a major US heavy truck manufacturer, to a potential Chinese partner, China National Heavy Truck Corp. This has led to requests from CNHTC to find US-based truck technology and component OEMs to explore opportunities to establish manufacturing joint ventures with the Chinese. During this time, CCNW was asked to find a US freeze-dried food manufacturer to collaborate with a manufacturer in China. Out of the discussions came a plan to manufacture freeze-dried field rations for the Chinese armed forces. The US side eventually withdrew. CCNW has imported heavy-truck suspensions from a Chinese manufacturer, and helped the US customer explore a joint venture to sell the units to Chinese truck OEMs. We have explored opportunities to manufacture cooling fans and fan clutch components for both markets, and to import built-up truck axles. Currently, CCNW is working with a major US manufacturer of heavy-truck axle end components in a manufacturing joint venture with a Chinese partner in Shandong Province. In the process, Mr. Millius has worked on Internet-based quality control and QC Reporting systems for their domestic and offshore operations. He has advised them on new legal requirements, done market research, and translated product literature for their entry into the China market. China trade consultant whose expertise will lead your venture to success.